How much money can I expect to save on my energy bills if I installing double glazing? For a three-bedroom semi-detached house replacing all of the existing windows (single-glazed) and installing Bahama's A-rated double glazing you could save between £90 and £120 a year on your heating bill. As the double glazing will last for at least 20 years that's a total of around £2,100. What are the benefits of new double glazing? 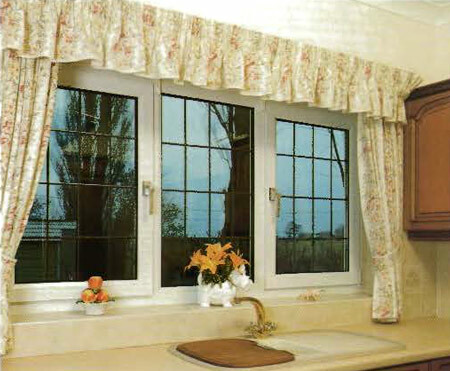 uPVC is un-plasticized polyvinyl chloride – un-plasticized effectively means rigid and strong double glazing frames. 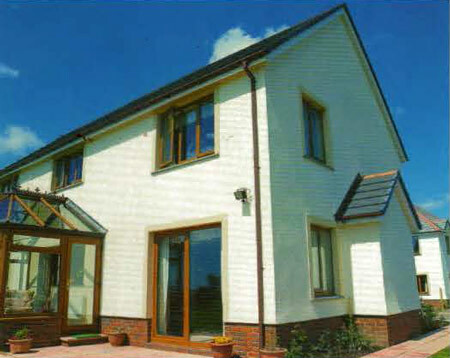 It is the most cost-efficient option amongst double glazing materials. Traditional wooden frames are up to three times more expensive and are less energy efficient. uPVC double glazed windows are available in a variety of colours and finishes (including wood effect), although white is by far the most popular. uPVC is both durable and recyclable requiring virtually no maintenance other than a wipe with a soft cloth and, at most, a little washing-up liquid. What about timber or Aluminium double glazing? 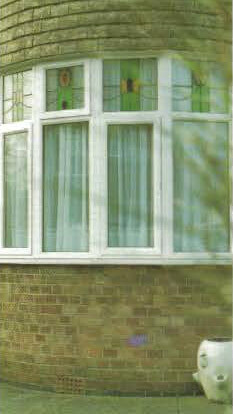 At Bahama we supply all types of double glazing - including aluminium, wood and uPVC. Timber is a naturally the greenest option as it is both naturally renewable material and usually from a sustainable source. Some people feel wooden windows look nicer particularly in traditional or period-style houses, though the new styles and finishes available with uPVC can now look extremely . While timber and aluminium windows tend to be more expensive and need maintenance, if properly looked after they can last a very long time. Window makers should all show the energy efficiency of their double glazing using the industry standard scheme A to G. A is the most energy efficient, g the worst – which is just like the scheme used for domestic appliances such as washing machines. The A – G scheme is run by the British Fenestration Rating Council (BFRC) and building regulations demand a minimum level of C.
Is it worth getting A-rated windows? Well, the difference in energy saving between the different ratings may not be massive – but is environmentally important. Which Magazine calculates the difference in energy used between A and B makes a saving save around 6.5% on your energy bills at current prices. How can I check which windows are energy efficient? The energy efficiency of a window is marked on any BFRC, Certass or BSI label. The higher the energy efficient the higher energy rating will be. Unfortunately, there is no legal requirement for double glazing or window manufacturers to label their products. How many layers of glass should I have? There are two layers of glass in double glazing (three in the much less common triple glazing) with a gap of around 20mm between them. What is the most energy-efficient glass? Low emissivity glass (Low-E) is the most energy efficient glass for double glazing. It usually often has an unnoticeable coating of metal oxide next to the gap on the internal pane -. This lets sunlight and heat in but reduces the amount of heat that can get out again, just like a greenhouse. What is between the panes of glass? Efficient windows use gases like argon, xenon or krypton (No, it's nothing to do with Superman!) in the gap between the panes of glass. What is the difference between different frame materials? 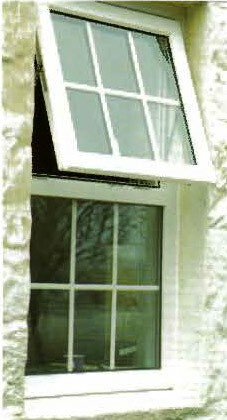 uPVC frames are the most common type of double glazing. They last a long time and can be recycled. Aluminium or steel frames are slim, long-lasting and can also be recycled. Wooden frames are natural, but they require regular maintenance. They are often used in conservation areas where the original windows were timber framed. Composite frames are made from several materials to reduce the need for maintenance and to keep the frame weatherproof. Will I need extra ventilation? Yes. Replacement windows are more airtight than single glazed frames. This would lead to a build-up of condensation in the house and needs to be ventilated. If you do not have enough background ventilation some replacement windows come with trickle vents incorporated into the frame to provide a small amount of controlled ventilation. Condensation on the outside of new double glazing can sometimes occur, especially with low-e glazing. This is because the glass keeps more heat within the house and so the outside of the window remains cool allowing condensation to build up in cold weather - this isn't a problem and causes no damage.